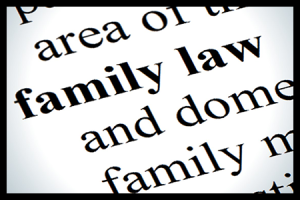 When facing family law legal matters, chances are that this is an emotional time for you. Issues to address may include divorce, spousal support, child support, child custody, property division, adoption, paternity, to mention just a few. In Georgia, individuals seeking divorce need to prove grounds for divorce under Georgia law. Under Georgia law, there are 13 different grounds for divorce. Only one of these categories (when the marriage is irretrievably broken) is considered “no fault.” In Georgia, couples can either file for a “fault” or a “no-fault” divorce. Some fault grounds for divorce include adultery, desertion, mental incapacity, imprisonment, drug addiction, or mental illness. Because there are so many categories for divorce in Georgia, many individuals seek the advice of a divorce lawyer in order to protect their rights. At this firm, we will meet with you to determine your goals for the divorce or family law matter and provide you the compassion and representation you need to accomplish those goals. Here at the Law Offices of Gregory C. Okwuosah, LLC, we understand that every individual’s circumstances will be unique and we tailor our representation to meet those needs. We offer affordable and skilled divorce representation to the citizens of Lawrenceville, Gwinnett County, or anywhere in Georgia. While it is possible to seek a divorce in Georgia without the help of a family lawyer, individuals risk losing important rights in doing so. A family attorney can help you understand your rights and obligations and ensure that you receive the best outcome for you, your children, and your family. If you are dealing with questions about the division of property, division of debt, and alimony, a skilled divorce lawyer can help you file for divorce. In order to file for divorce in Georgia, a person seeking a divorce must first file a complaint to the superior court in the county of residence. The complaint must contain information about the marriage, children, and finances. After the complaint is filed, a copy of the complaint must be served (delivered) to the other spouse. Individuals do not necessarily have to go to court in order to get divorced. If couples can reach a divorce agreement, the agreement can be brought before the court as a settlement. The court can then approve the agreement and the divorce can be finalized. In cases where individuals disagree about child custody, child support, alimony, division of finances and property, then couples may need to go to court so that a judge or jury can make a final judgment regarding these matters. 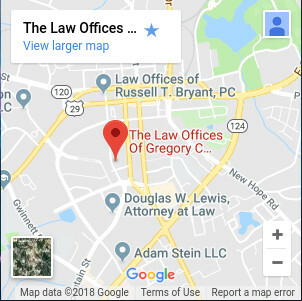 Individuals who are facing difficult divorce concerns may ask, “who is the best divorce attorney in Lawrenceville, or in Gwinnett County, Georgia.” The Law Offices of Gregory C. Okwuosah, LLC is experienced in offering affordable representation to individuals who wish to file for divorce. Because we understand that cost of representation may be of great concern to you, we charge a flat fee that we believe you will find reasonable. Contact us immediately at (770) 962-7201, to discuss your case. If you need help with filing for divorce, we’re here to listen and learn more about your situation, and can help. 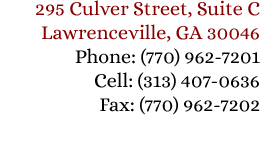 For more information on divorce law in Lawrenceville GA, click here. For information on child custody and child support law in Lawrenceville GA, click here.